One of my must do's before I die is to try surfing. It looks cool and fun on tv but I also felt like it is hard to learn in real life. I am just amazed on how surfers can ride and be in sync with the waves. 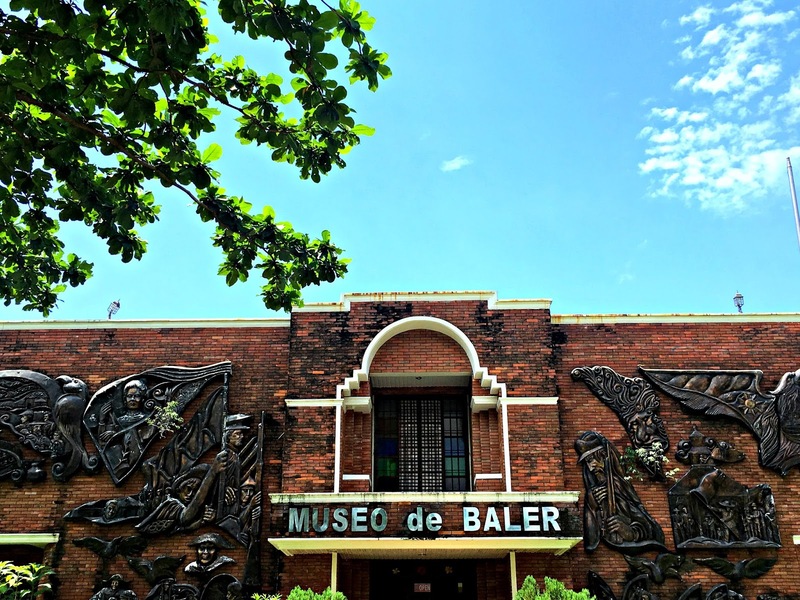 Lucky me, my father used to go to Baler a lot of times during the campaign period. He already know the places, tourist attractions, and everything you need to know when travelling to Baler by heart. So together with my cousin, we plan an overnight getaway in the surfing capital of the Philippines, Baler Aurora. Question is, how will you go and see all the tourist attractions in 2 days? 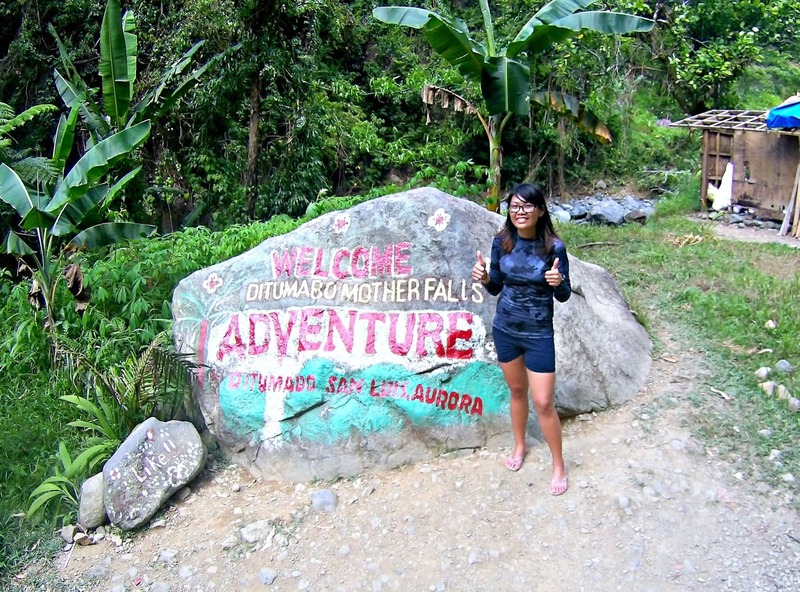 And though we didn't go to all the tourist attractions, I can say that it is possible! 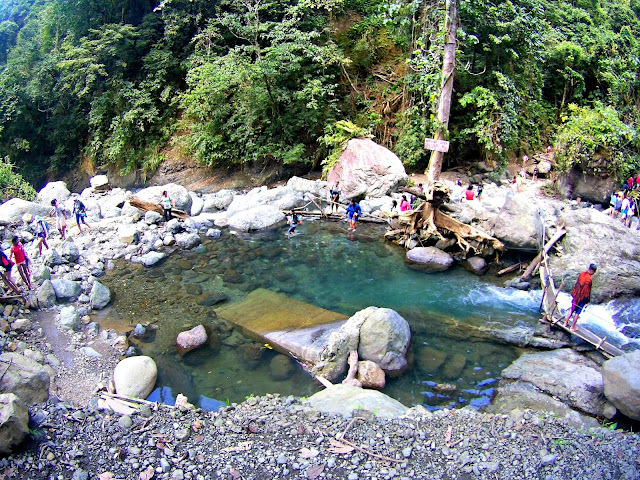 Baler is a just a 6 hour ride from the busy metro. 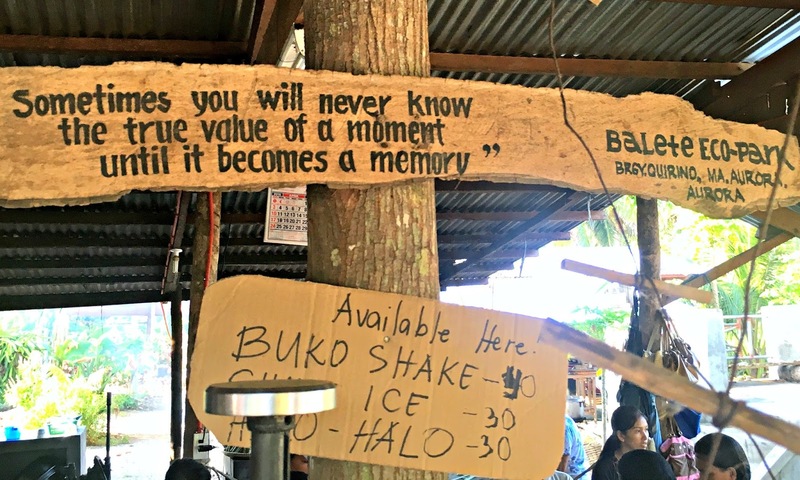 And for those who want to experience adventure, food, and the waves, then you should definitely include this on your travel bucket list. 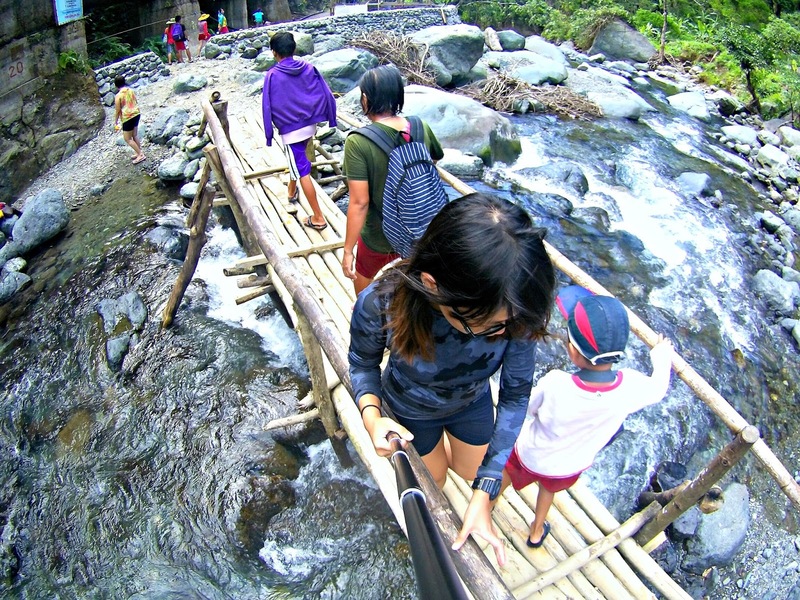 I've been wanting to visit Baler a long time ago because of all the good things I hear and see online. And so one weekend, we experienced on what this surfing capital has to offer. I booked our bus tickets in advanced at Joy bus so we will no longer need to wait. Less hassle and much easier. So for those who are travelling to Baler and would like to book in advance too, they have an online reservation tool you can use. 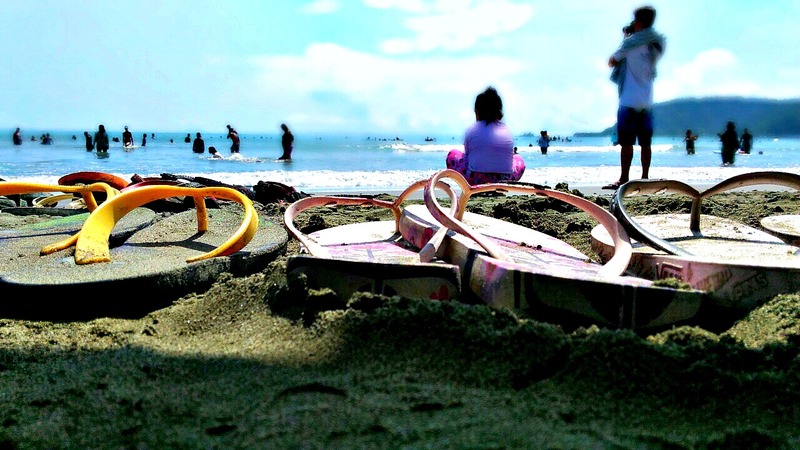 Just go to www.iwantseats.ph, sign up and choose your preferred travel dates. Payment options are by depositing and you have to send a copy of your deposit slip or a screenshot if you use mobile banking, on the email stated. And just wait for your confirmation. Our travel to Baler was smooth and when I woke up, we're already at the Baler Terminal of Joy Bus. Before getting ready for the day, we first dropped our things at the room we're staying in and started the whole day tour. Weather that day is not good as it was raining the whole morning when we arrived. Good thing is it started to become sunny and extra hot again before the noon sets in. 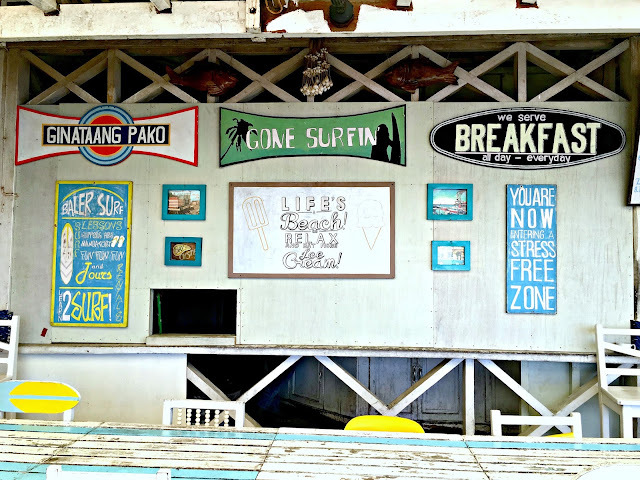 We had our breakfast at Bay-ler inn along Sabang beach. 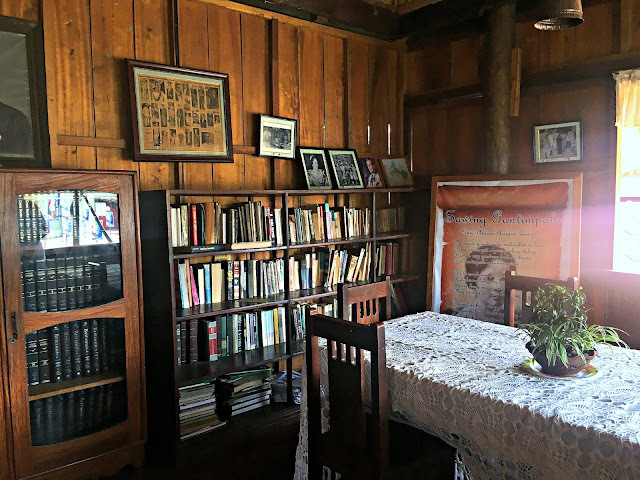 Breakfast here costs P200 if you're a walk-in guest, otherwise, if you're staying in the inn, I think it's already included in their room package. 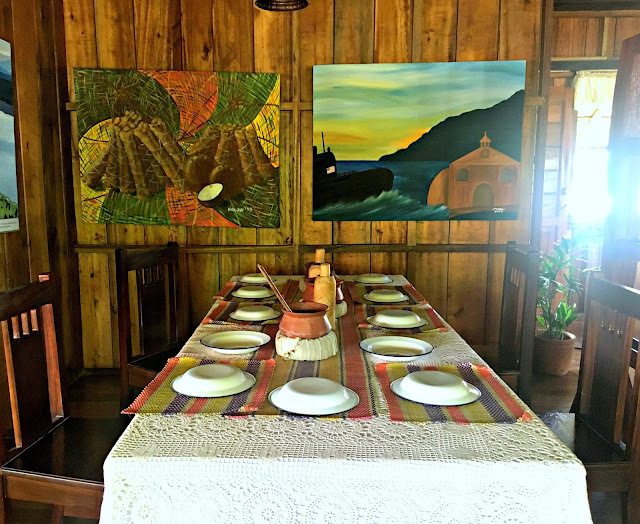 They also don't serve their other menus during the morning because as what the staff said, they are focused on the breakfast buffet. 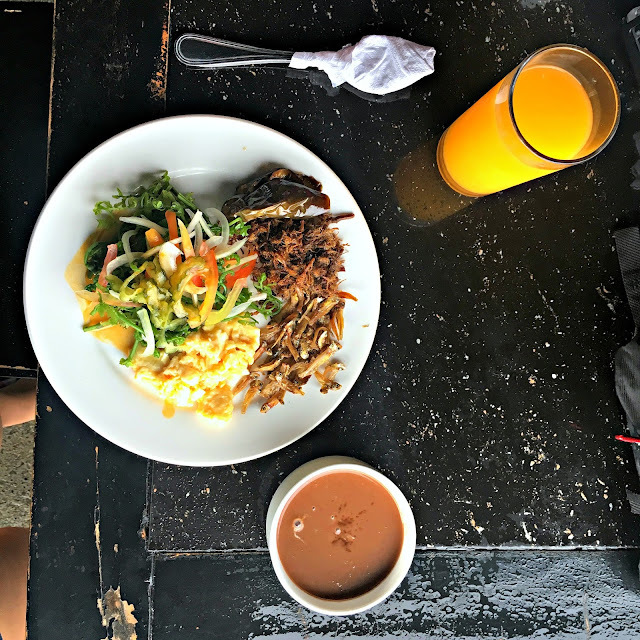 So while eating breakfast, I was a bit worried of the weather.. it was gloomy and the ambiance is a little bit sad because it was dark and everybody seemed to be worried as well. 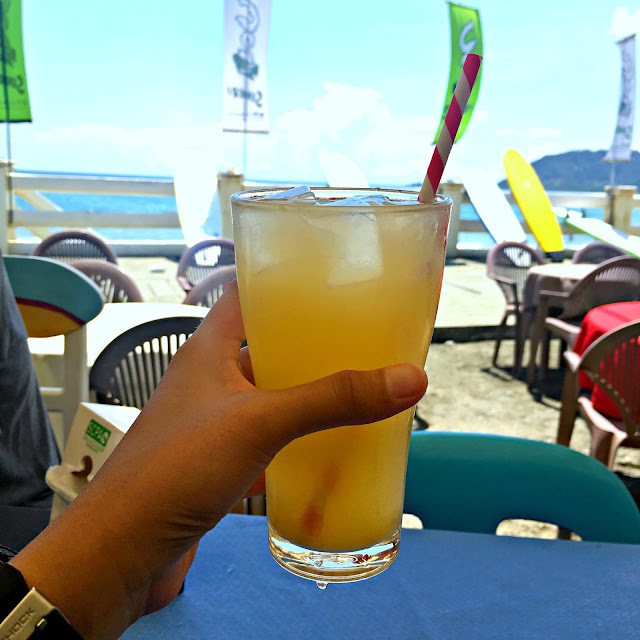 Calamansi juice to beat the heat! 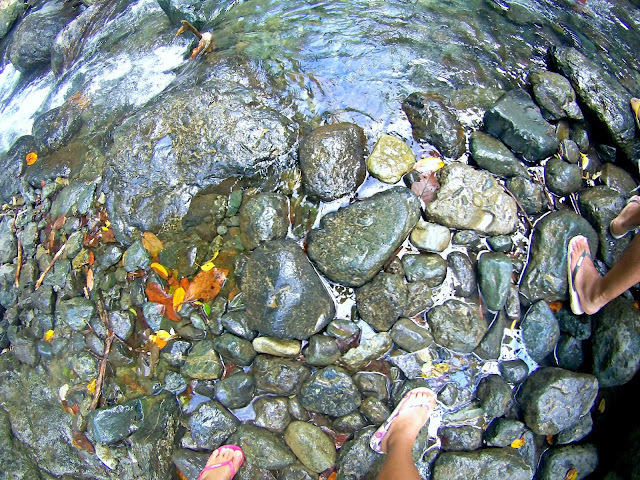 After eating breakfast, my cousin and I decided to go for a walk before we try surfing. And because this is the surfing capital of the Philippines we're talking about, you haven't been to Baler if didn't experienced surfing! Even if you keep on falling on the surf board. Lol! There are many establishments offering surfing lessons along Sabang Beach. 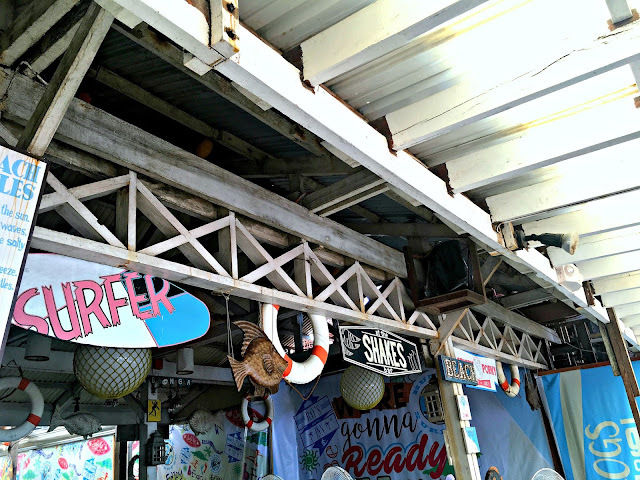 Actually, I think every establishment you passed by offers a surfing lessons. It just depends on how much rate they will give you. Average is P300. 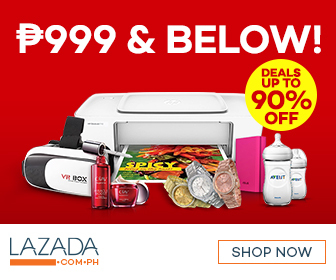 If they try to offer you P350, then by all means, HAGGLE! So how was the experience? It was fun! It was a one on one lesson. So you will definitely have your own instructor. They will first tell you the basics, the parts of the surf board, how to stand, and what to do when you fall off. I tried to balance but kept on falling until my fifth try. Hah! Pweds na! Kept on looking for lobster in Sorsogon last time and didn't know I'll see it here in Baler. Lol. But we didn't buy it anyway. After an hour of surfing lessons and feeling like a super pro in surfing even though I still can't master it, we roam around the shores and just stroll to see people learning surfing as well. There are a lot of food stalls and umbrellas for rent. We went back to the room though to rest for awhile before we proceed our afternoon tour of the rest of this wonderful province. After eating our scrumptious lunch, we first explored Baler Museum. 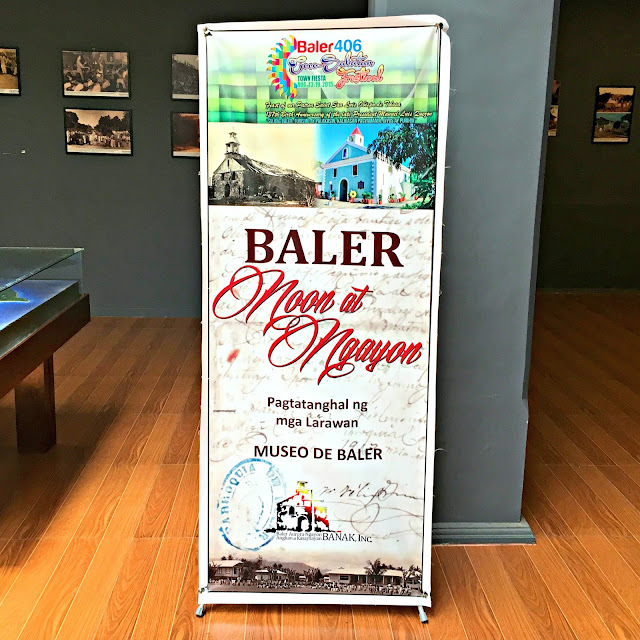 The museum showcases year old photos of Baler before. 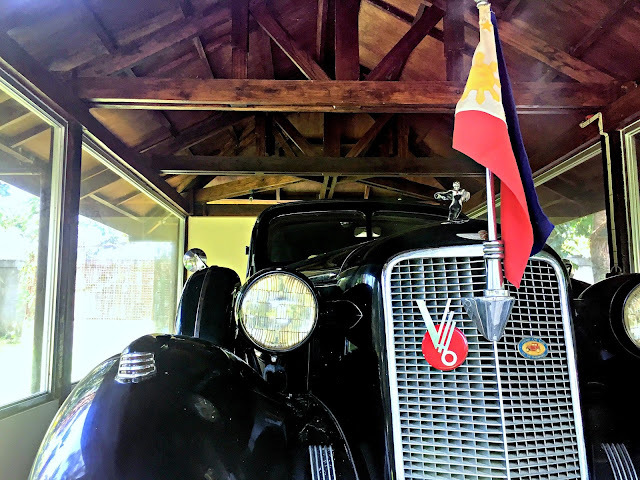 It showcases some pictures of Manuel Quezon, one of Philippine presidents, and how Baler looks like decades before. The museum also showcases the presidential car of Manuel Quezon used in his term before. 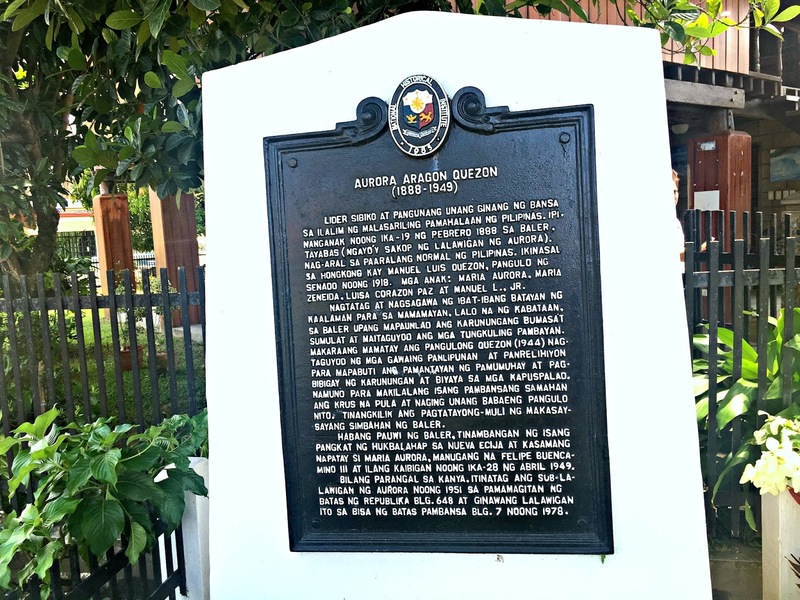 Next stop is Dona Aurora Quezon's house. the wife of Manuel Quezon and is a prominent personality during her time. The house wasn't that big but it shows and feels like you're in the early 90's. 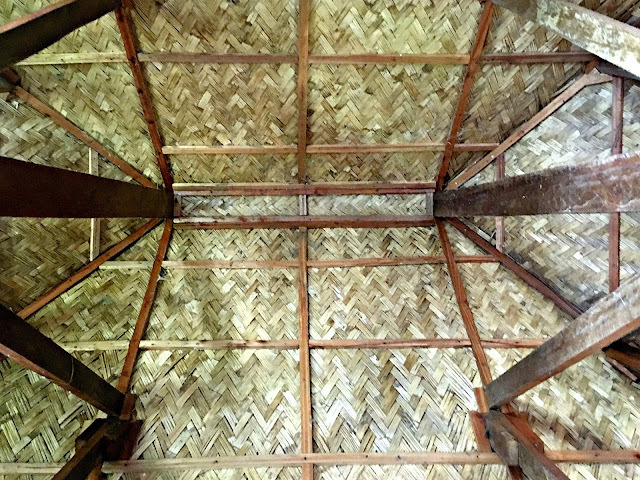 It represents the look of old native Philippine houses. After looking at historic places, we rode a tricycle to Ditumabo Falls or also known as the "Mother Falls". 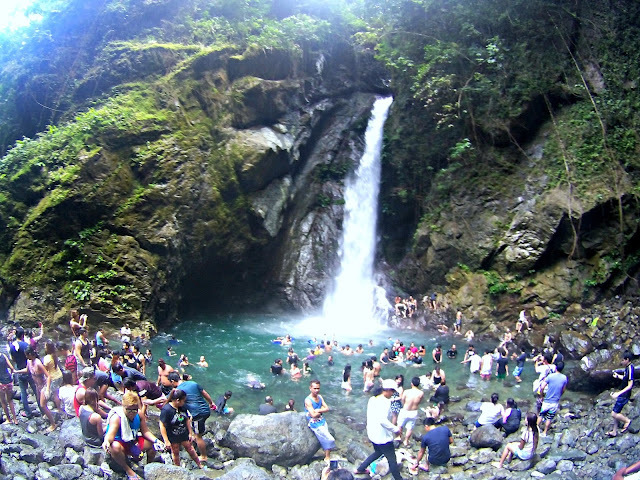 However, before you get to see the beauty of this falls, you have to trek first but rest assured though that it is worth it! 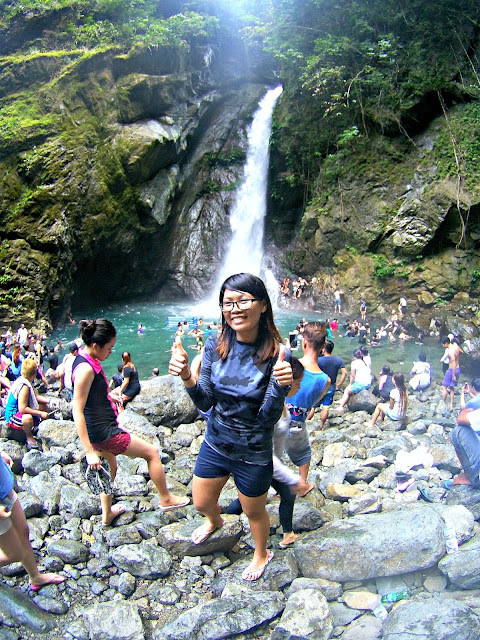 The hotness of the weather is nothing compared to the cold rushing water of the falls. The path is kinda challenging and little kids should be guided properly as some paths are also dangerous. 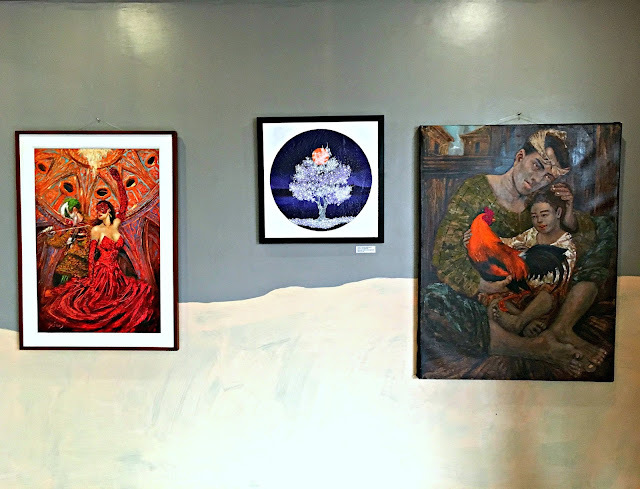 My father told me that before, there used to be no entrance fee. 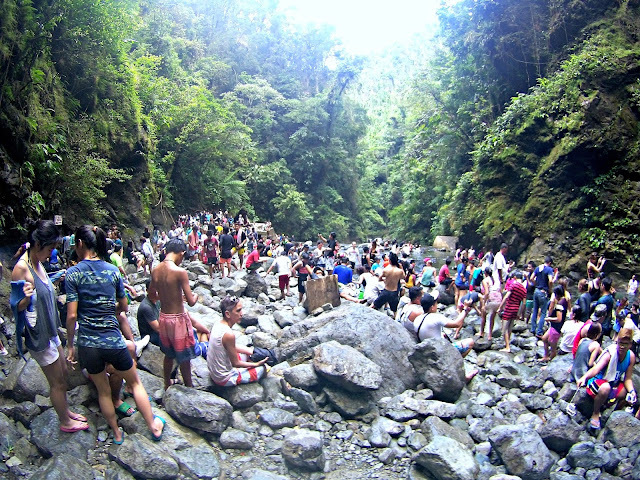 However now, they are collecting entrance fees for all those who want to trek and see Mother Falls. 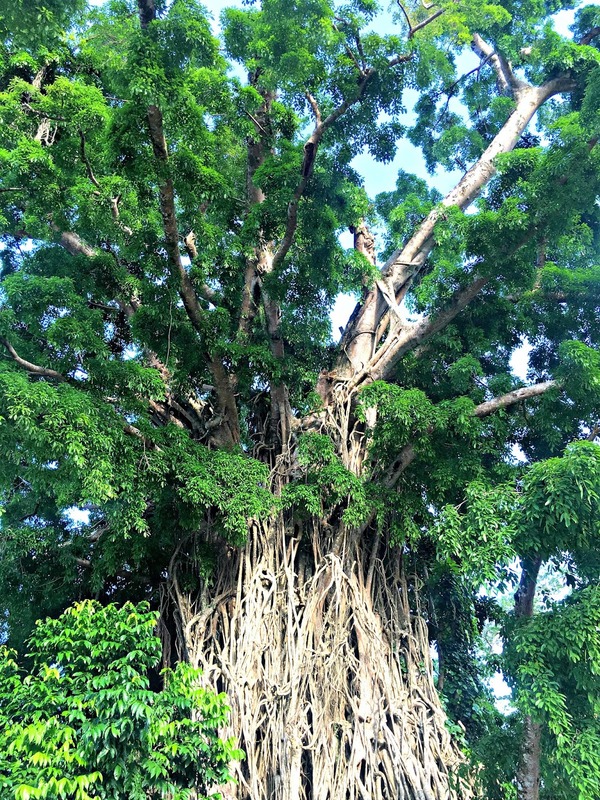 We also went to see the famous balete tree which is definitely huge. The place was so far that I was able to sleep in the tricycle. haha! Just how big balete trees can be? 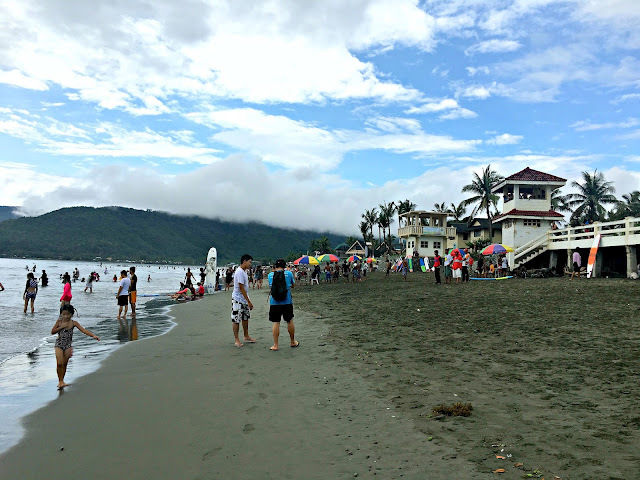 So after a full day of touring, we went back to Sabang beach and had our merienda. Strolled again around the beach and went back to the room. My father and cousin just bought dinner outside and we ate inside the room. Second day was just like a lazy day. 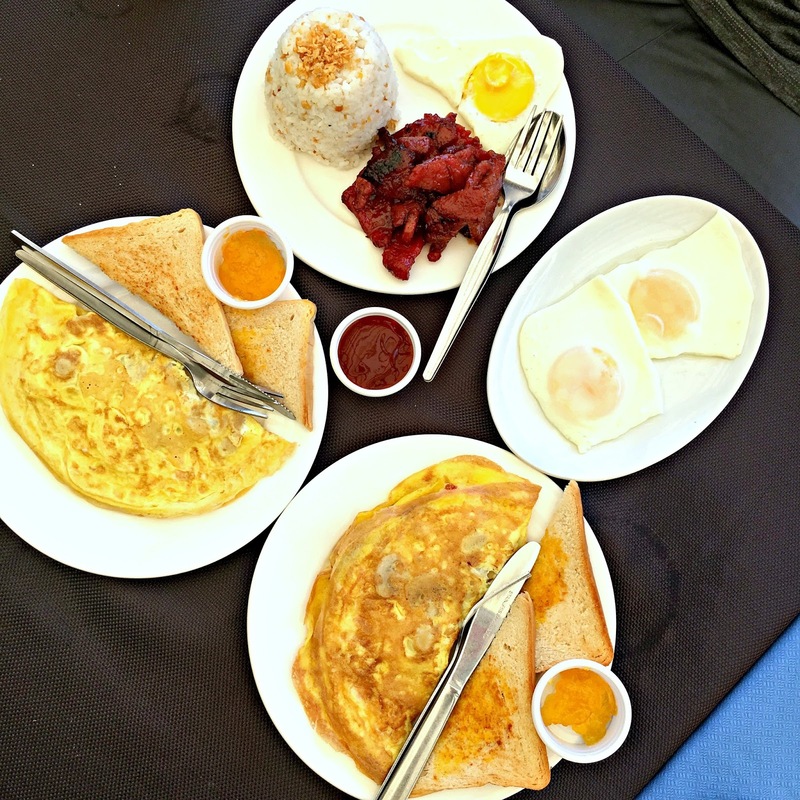 We had our second try in surfing and ate breakfast by the beach. 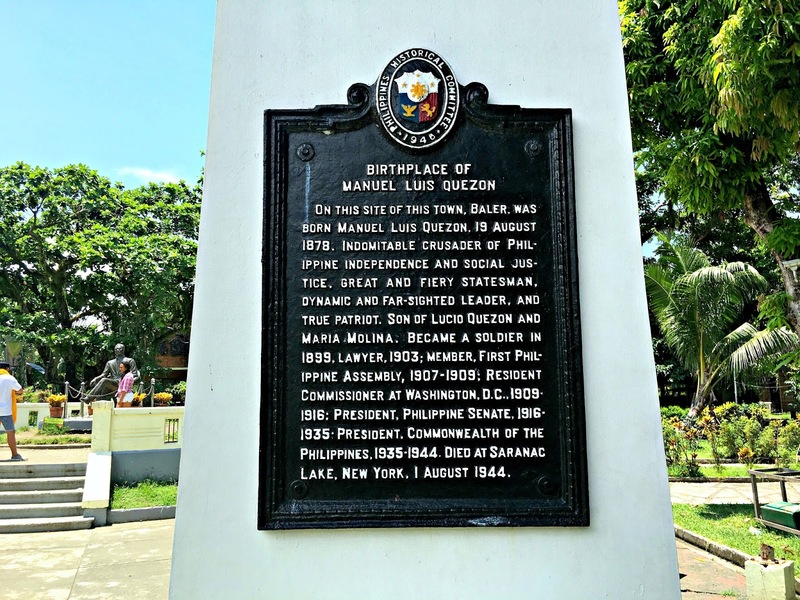 Bought some pasalubongs and souvenirs. 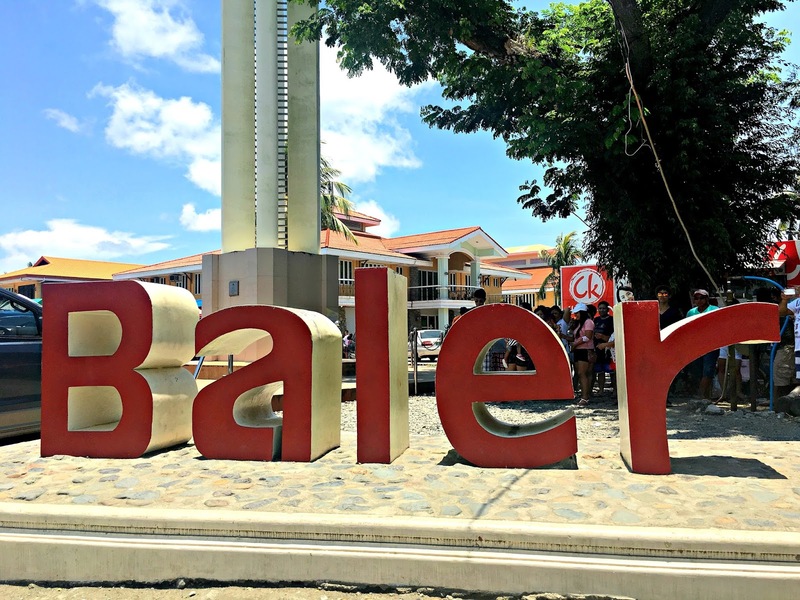 And of course had a picture taken at the famous Baler letters. Hihi. We departed Baler at around 2:10 (we almost wasn't able to catch the bus! Huhuhu. My fault though) and arrived at around 9PM coz of the traffic. Wow, such beautiful places you have in your country. I never met a beach I didn't like. I've never tried surfing either, even though I grew up at the beach. That looks like a wonderful trip! 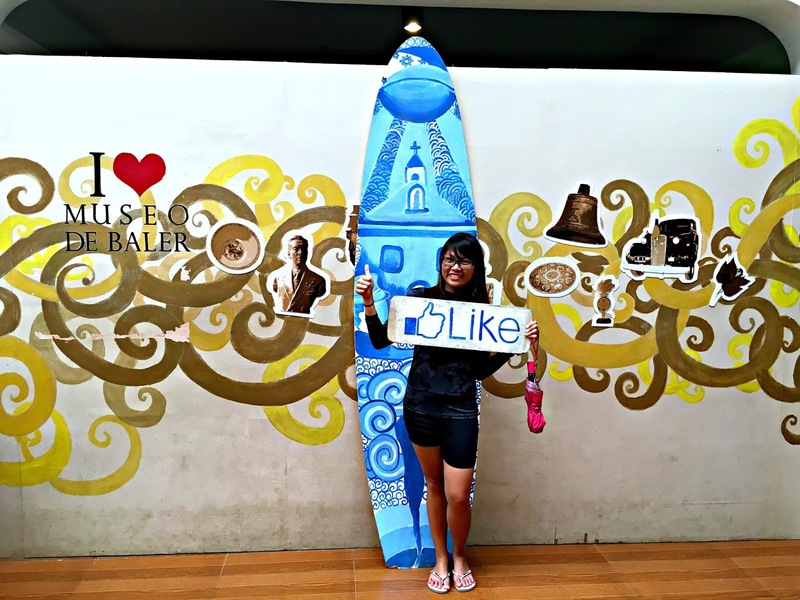 I've never been surfing, but it seems like Baler would be a great place to try. Good to know that they help you with the basics. And those omelettes look amazing too! Love the photos! 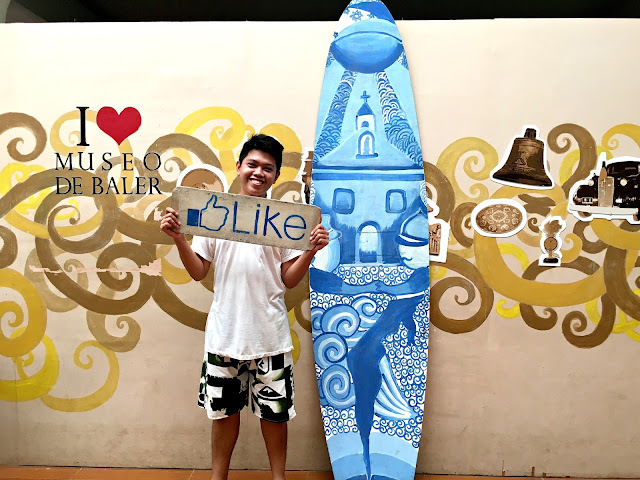 I would love to go to Baler too but not for surfing maybe just for sightseeing on the waves, be amazed by the surfers and all other interesting places you visited. Hehe Well, I might or might not try surfing though. Okay, I'll try. LOL! I would be too scared. By the way, it was a great weekend indeed. Thanks for touring us around. What a great mixture of Baler exploration: Nature and Arts! How I wish I am a big fan of water and surfing! 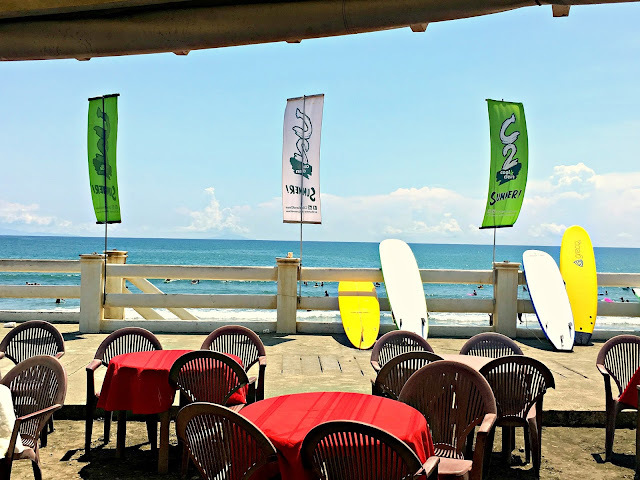 Balers is truly a surfers' paradise in the philippines. This is just simply amazing! The shots, details and your itinerary plus all the activities! 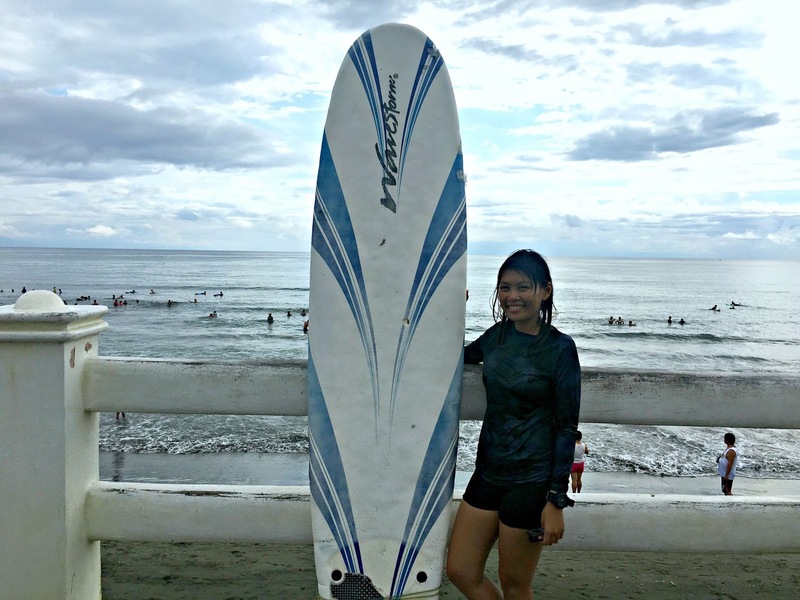 It has been a part of my bucket list to try surfing but I still haven't found the time to do so. Cheers to your adventures! What a fun time you had! I think I would love to try surfing there! I have done a lot of boogie boarding but not the real thing. Mother Falls looks like a ton of fun and there were so many people there, too! Great trip! 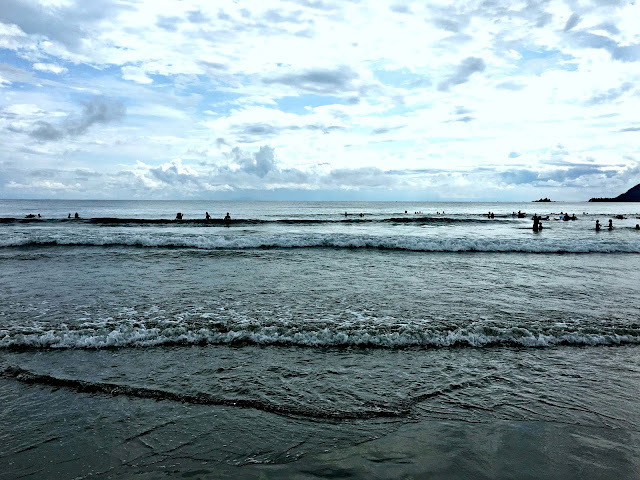 My friend surfer would always recommend Baler's waves if i go surfing. 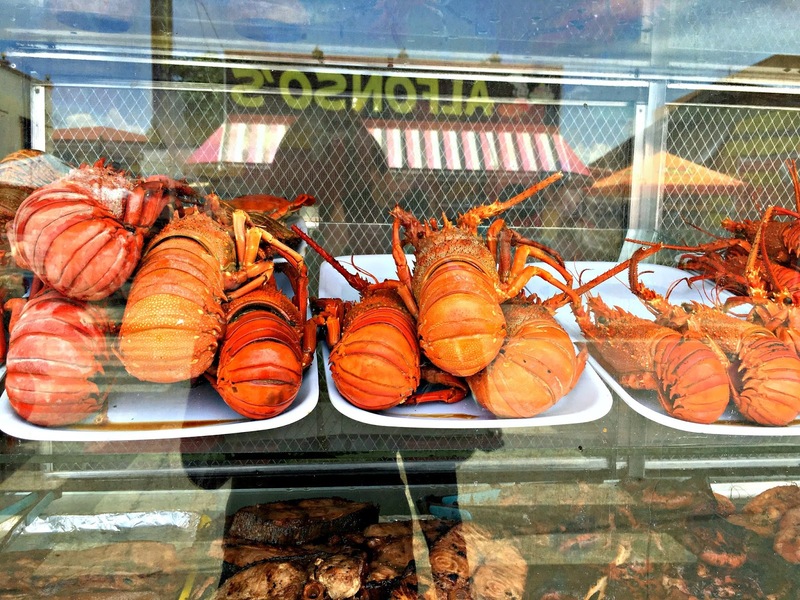 No doubt Baler is beautiful and even the food are all sumptuous. Love seeing smiling crowd, too. 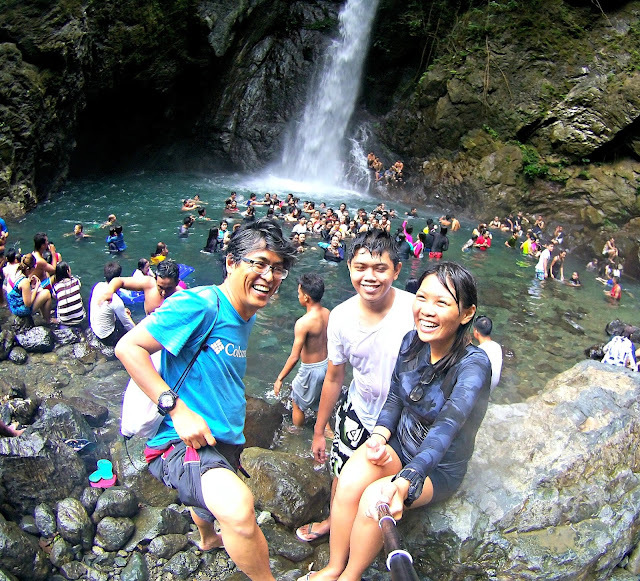 I have friends who frequent Baler, and they had a good time too. I wish I can visit this soon. 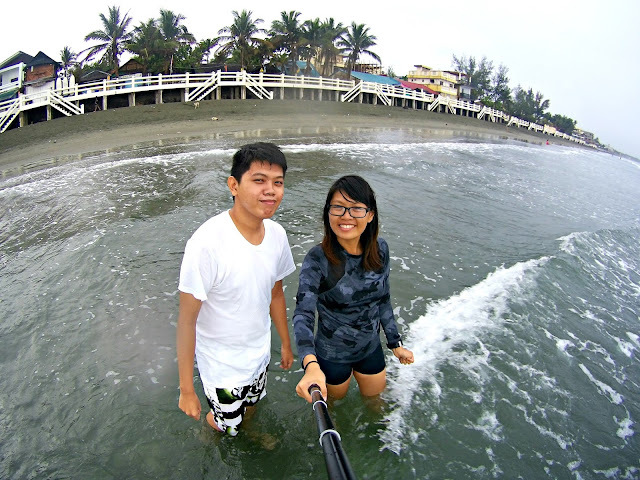 I've never been to Baler and all I know about it is it's beach and waves. People love to go surfboarding and get a tan. What was new to me was the touristy spots. 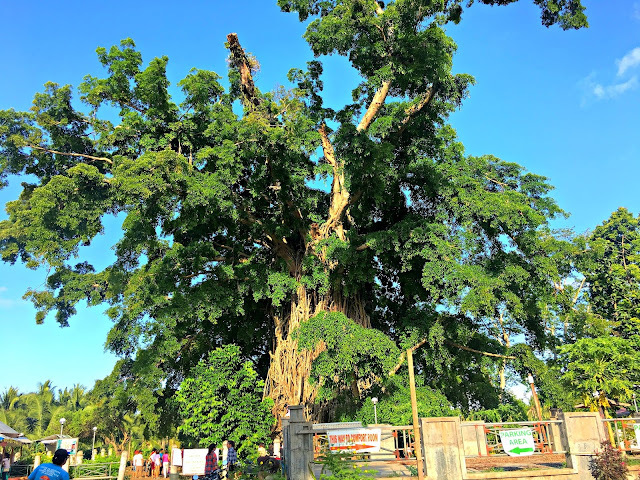 I never knew there was a balete tree there as big as that. Were you able to see or feel some spirits there?